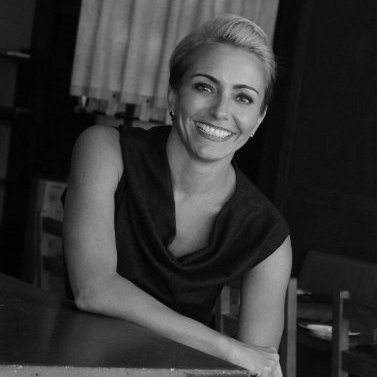 Vanessa Bergmark is the CEO/Owner of Red Oak Realty in Oakland, California. Located in the San Francisco Bay Area, the Red Oak Opportunity Foundation partners with local non-profits to make a difference, and has distributed grants totaling more than $1,170,000. We recently sat down with Vanessa to ask her views on the current state of real estate leadership. I am thrilled with where my company is, however, I am concerned with getting complacent and missing opportunities. There’s a fine line between having gratitude for what you have and just maintaining where you are at, while striving for growth and progress. Worth noting that if it truly does keep me up at night, I get out of bed and deal with it. Tim Ferris teaches about fear setting rather than goal setting and on many of those sleepless nights, I fear set. The reputation. I am proud of what I do. I work hard, and I know how hard my agents and staff work for our clients. It’s always a bit of a punch in the gut when I am at a dinner party, a retreat, a backyard BBQ or my kid’s school when somebody asks, “What do you do?” and I see an actual grimace when I respond. There’s a lot of consumer mistrust and overall aggravation about the way real estate transactions are handled and, ultimately, what agents are paid. I’d love to commit more of my time in changing the consumer image of the entire profession. I think it would have a positive effect on the experience during the transaction if consumers entered the process with higher trust and better expectations of the process and more transparency. I’d love to see a smile when I say what I do. How have your expectations of your management team changed over the past 2 years? I hold my team to higher standards now more so than I ever have. As my team has changed over the years, any new hires are also held to a higher standard. They have to be informed not only on our local market, but our industry. They have to stay not only up to date on tech and product offerings, but informed on what is up and coming in the near future and how it may apply to and benefit our business. They have to have leadership qualities themselves, make decisions without me, stay on track of projects and be responsible for managing crisis and handling difficult agent and consumer related issues. I expect them to move swiftly with competitive pace and confront issues quickly. No languishing allowed. I also hold them to the same standard I hold myself. Nothing I ask of anyone is something I wouldn’t do, and they often remark on this. Of note, my management team has changed from almost all men to entirely women in the past 2 years. I educate them on the industry. I challenge them on what they read, watch and talk about. I hold a high standard of how they treat one another and confront conflict openly. We all work with coaches and consultants on short term projects and long term goals and culture. We have started to set company goals that the entire staff team — 16 women — will benefit from financially if we reach. We openly challenge as well as support each other. Embrace it. Have fun with it. Look at it as an opportunity to get rid of things you tolerated or disliked — not just as the annoyance of constantly having to improve. Some things need to change; understanding why the change is at hand and comprehending why it is happening and how it will benefit us makes the process of changing less adversarial. Frankly, I’ve never really had a problem with change, and when others see you getting curious and inspired by it, change can get contagious and exciting. Want to connect with Vanessa? You can find her on Facebook and LinkedIn.